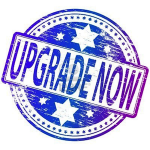 Our modern lifestyles now include many new technologically advanced products that challenge old electrical services. If you’re remodeling an older home, odds are your local building department will require you to upgrade your electrical service to 100 amps. Why? It’s to ensure that there’s enough power in the home for all the modern electrical needs without causing a fire. Older homes didn’t need to support so many appliances. 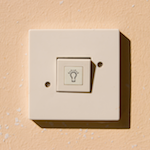 Most standard home electrical circuits are on a 120-volt line. 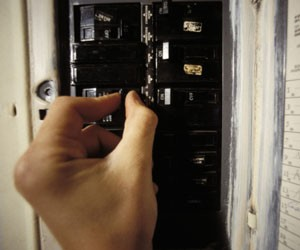 To run major appliances and heavy electrical equipment, you need 220-volt current in the house. And unless your clothes dryer runs on gas, it will require a 220-volt outlet to operate, so it’s necessary to upgrade to 220 to handle this kind of appliance. 1. Appliances: With the wide variety of kitchen appliances such as food processors, blenders, coffee grinders, cappuccino makers and bread machines, there needs to be plenty of electrical outlets in a modern kitchen. 2. Cable/Satellite TV: Where might you want to watch TV? Consider adding cable to an upstairs bedroom or guest room or perhaps downstairs for a family recreation room. 3. Computers: Which rooms might someone want to plug in a computer and modem? A guest room could double as a home office. 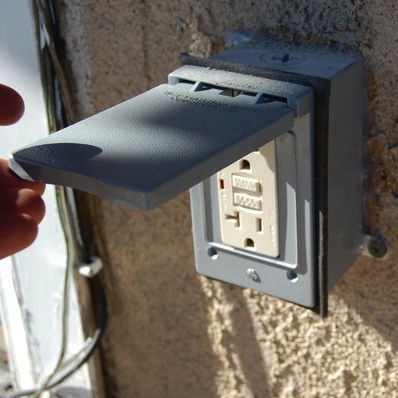 Consider adding additional electrical outlets or a phone or modem line. 4. Ceiling fans: Additional wiring will allow you to control the lights and fans separately from the wall switch, to adjust the fan speed, and to turn off the light while leaving the fan on. 5. Central control stations: A variety of new devices allow you to operate many different lights and equipment circuits from a single location. Multiple-station controls can be preset for entertaining so that, with a single touch, they provide candle-like atmosphere in the dining room, tranquil lighting in the living room and activity lighting in the kitchen. 6. Garage or Workshop: Can you use a power tool without unplugging the freezer? If not, upgrade the electrical service in your workshop to reduce the chances of overloading your circuits. 7. Home entertainment centers: Televisions, VCRs, stereos, CD and DVD players, surround sound. How about remote speakers to better utilize those purchases by allowing music to play throughout the house? 8. Outdoors: Adding a spa, automatic sprinklers, a misting system on the patio, or outdoor lighting for security or beauty will all require more electricity. 9. Home security system: Will you ever want to install an electronic security system to scare off intruders and alert the police and fire departments? 10. 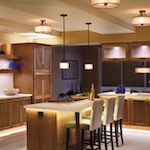 Specialty lighting: Gone are the days when lamps and single overhead light fixtures were our only options for lighting our homes. Now we can hire lighting designers to incorporate special “task lighting” and “accent lighting” to create a pleasing ambiance. Don’t forget about surge protection! A voltage surge (a momentary rise in voltage) can damage sensitive electronic equipment such as computers, home entertainment centers, treadmills, and other expensive equipment. Surge protection strips protect against small, daily surges to help your equipment last longer and work better. For large surges, you’ll need to install a whole house surge arrestor at the electrical panel to protect switches/outlets, appliance motors, the circuit breaker box, as well as, all the wiring in the home. This entry was posted in Electrical and tagged indoor, outdoor, upgrades. Bookmark the permalink.